The research evidence keeps on mounting in regards to the unprecedented warming that the world experienced well before any industrial/consumer age CO2 emissions entered the atmosphere. The adjacent chart from a new peer-reviewed study makes this very clear. 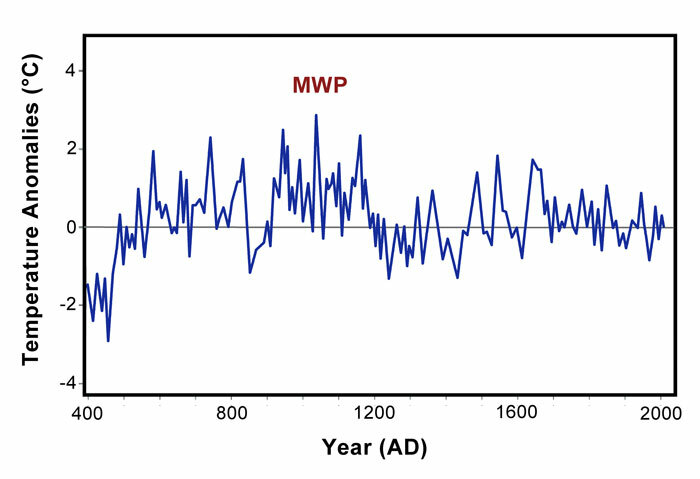 Not only were the Medieval Warming temperatures some 2.9 degrees higher than the recent current modern warming, those unprecedented temperatures existed at atmospheric CO2 levels significantly below the claimed "tipping point" of 350ppm. Previous climate-history postings and charts.